By the time James and Ethel Macia bought the old boarding house, in 1920, the white rose bush had already grown very large, so they tore down the woodshed and created a system of wooden poles and metal pipes for support, which only helped it expand even more. 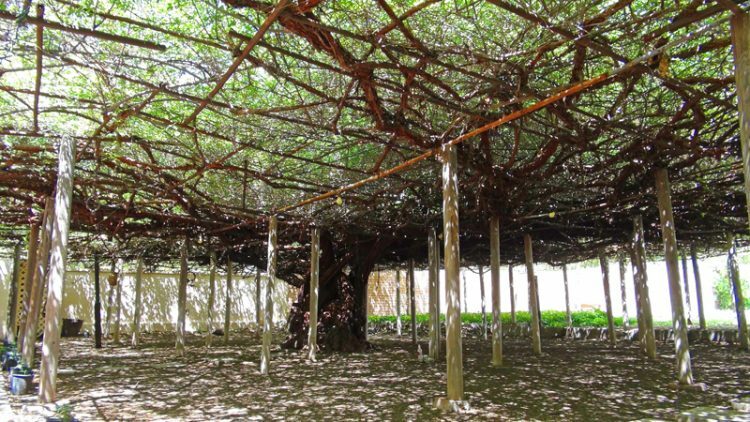 In 1933, John Hix was the first to call it the World’s Largest Rose Tree in his column “Strange As It Seems”, and in 1937, Rober Ripley, of Ripley’s Believe It or Not came to Tombstone to see it for himself. The rose kept growing as the years passed, and it eventually received the official title of “world’s largest rose bush” from Guinness Records, an entry that has never even been challenged. The White Lady Banksia Rose blooms every year, for about six weeks, from March through April, and it even has its own Rose Festival, which thousands of visitors eager to see it in all its glory. 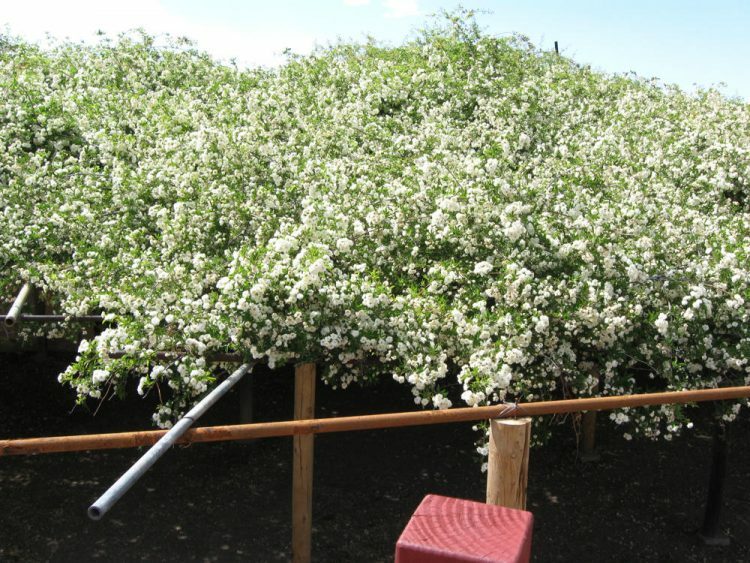 In full bloom, the world’s largest rose is covered with thousands of small white tea roses, the smell of which can be smelled a block or two away.